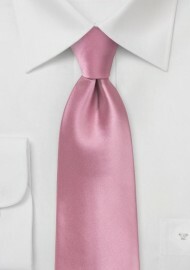 Extra long necktie in solid pink color. This tie has a brilliant silvery shimmer and soft feel. It is perfect for the fashion conscious businessman looking to update his spring and summer wardrobe. 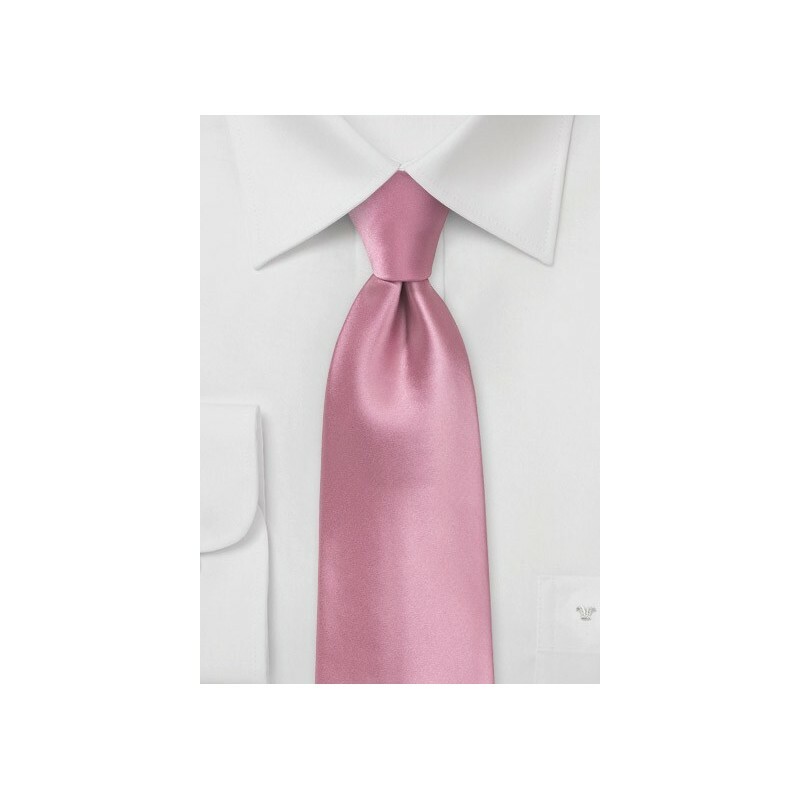 We suggest to wear this tie with classic gray suit and solid white dress shirt. To be more specific, we suggest a white shirt made from fine cotton twill and a 3-button charcoal gray suit. A look that will give you compliments in and outside the office. Made from microfiber.